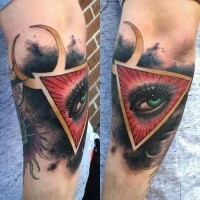 Let us speak about eye tattoos. 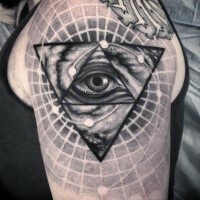 It is considered that eye tattoos represent the divine all-knowing, and also eye tattoo was considered to be a magical symbol, and due to this the man receives of possibility to see and remains unnoticed at the same time. 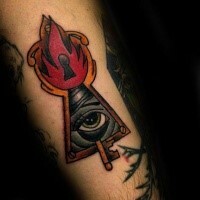 Also the eye tattoo protects from destruction, bad luck and bad eye. 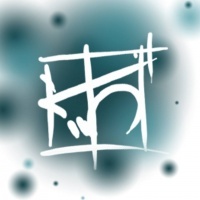 In different cultures it was considered that the soul is situated in the eye and gets to the body through them. So, evil spirits could also get into the body via eyes. Such evil spirits could be sent there with their gaze. 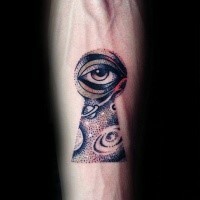 The third eye symbolized peculiar mystical force. It is said, that the eye is the mirror of the soul. 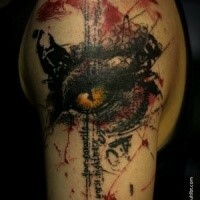 Eye tattoo can transmit joy, happiness, fear, surprise and everything that you want. 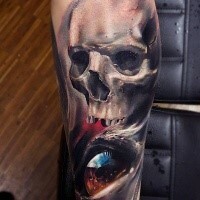 Eye tattoo designs can represent one eye or paired eyes, or even there can be several of them. 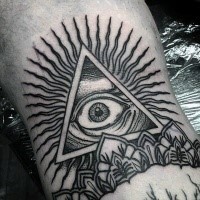 In the eye tattoo the eye itself can be very different – evil, straight gaze and so on. 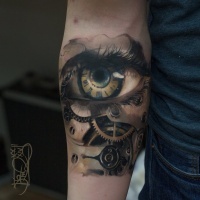 The colors of eye tattoos are practically the same as in real life – brown, green, blue and grey. But you should not limit your fantasy. Using gold, violet and even maybe black or red color, you will be able to express yourself and show your individuality. Some prefer to depict the eyes of animals because of their esthetic-exotic look. Cat eyes mostly often are preferred by women. Men prefer snake eye tattoos. 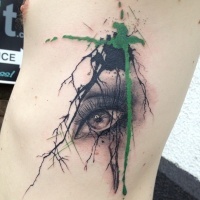 But there is no strict distinction between genders in eye tattoo designs. 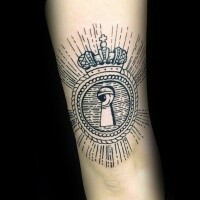 The hand of Fatima is known as the most powerful eye tattoo. 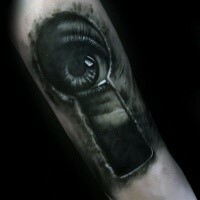 Eye is depicted on the palm of the hand. Muslims consider that this picture serves protection for bad eye. Also it is depicted on amulets, magical talismans in the entrance to the house. 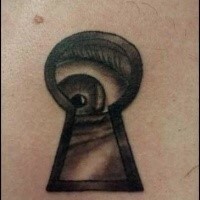 Eye tattoo looks very good on the back and remind about the fact that the host of such eye tattoo designs sees everything around him. But also any other body part can originally underline the beauty. Very often people decide to depict winged eye as their eye tattoo design. Eye-butterfly is very popular as well. 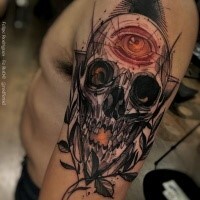 Although the eye tattoo cannot have general symbolism, all eye tattoo designs can be united because of their status of defender. 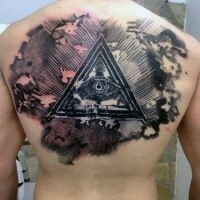 Many people feel the sincere sense of safety because of such eye tattoo masterpiece. Eye tattoos are considered to be born long ago in the culture of some tribes. In those ancient times people depicted eyes usually on shoulders or on their heads. Warriors hoped for bringing fear to enemies and sorcerers thus underlined knowledge of everything, the ability to achieve higher spheres. 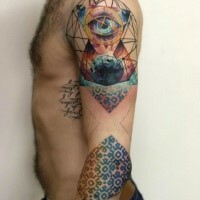 The third eye, for a long time already, means the connection with other worlds, outstanding abilities. 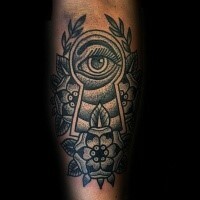 Today the eye tattoo is considered to be the symbol of self-protection and protection in general. 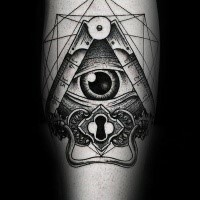 The design of the eye tattoos is very different. You can meet eye tattoos in Egyptian style (usually it is Gors’ eye) in the tribal style. But more often people prefer eye tattoos with usual open eyes, sometimes they can be the eyes of the animals (mostly cats). 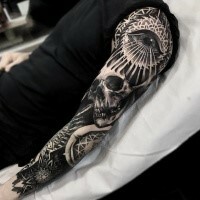 Girls like tattoos with famine eyes, with long and beautiful eyelashes. 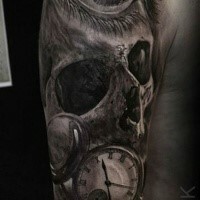 Usually eye tattoos are applied mainly y girls. 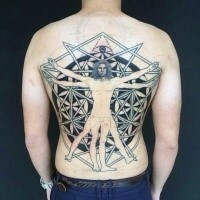 For application they choose such body parts as waist or back. 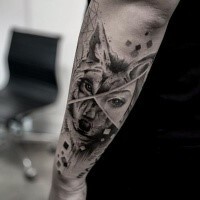 Males, on the contrary, choose the eye tattoo designs more rarely and prefer to do them on the forearm or on the back of the head. 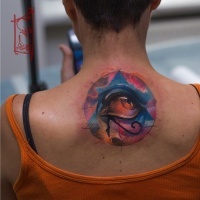 Usually such eye tattoo designs are stylized and more rarely – snake eye tattoos. 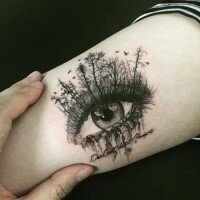 To get the eyes a certain look, usually eyebrows are put in the eye tattoo designs. Because of this addition eyes can look very differently and express different things – joy, anger, surprise and so on. That’s why if you decided to apply eye tattoo you will have to choose the shape of eyebrows very carefully.